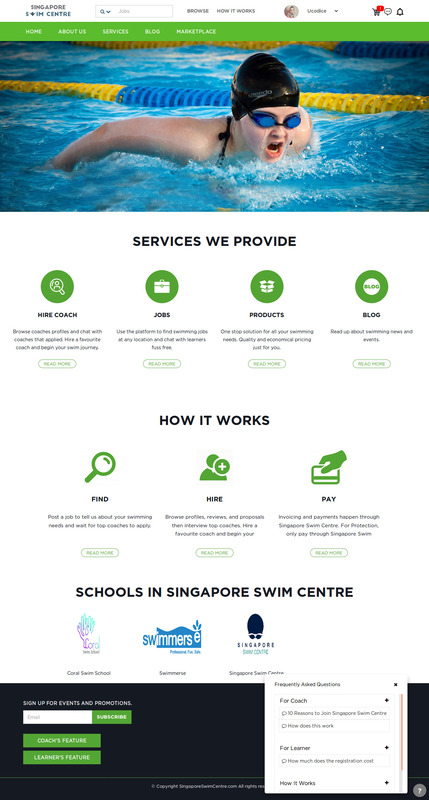 Singapore swim center is a freelancer marketplace where learner and coach are able to find each other. 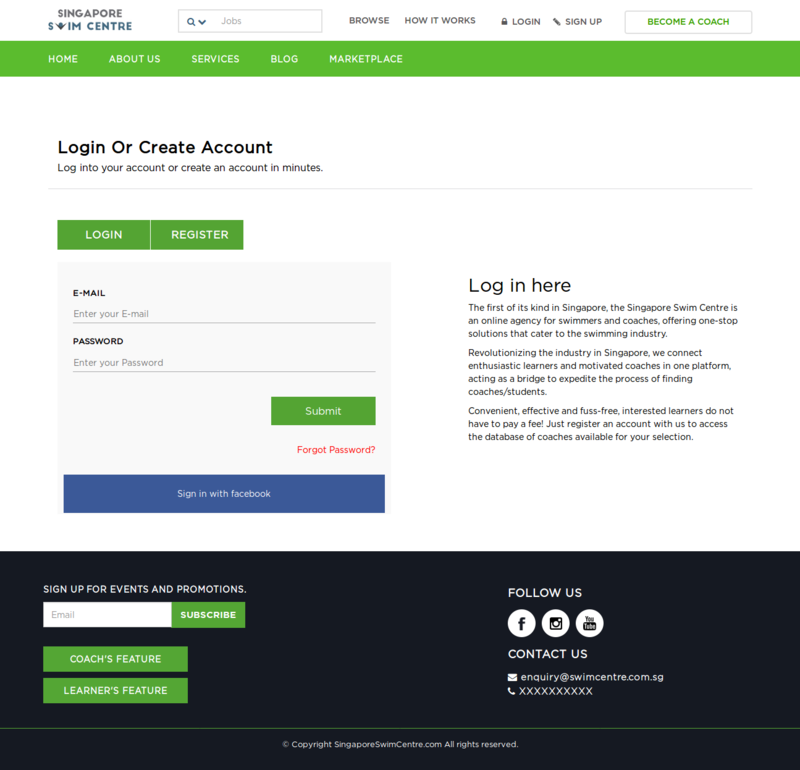 The site allows the learner to post a project for site members while bidding on a competitive tender process. The site also allows members to host and enter contests for which prize money is offered as a reward. 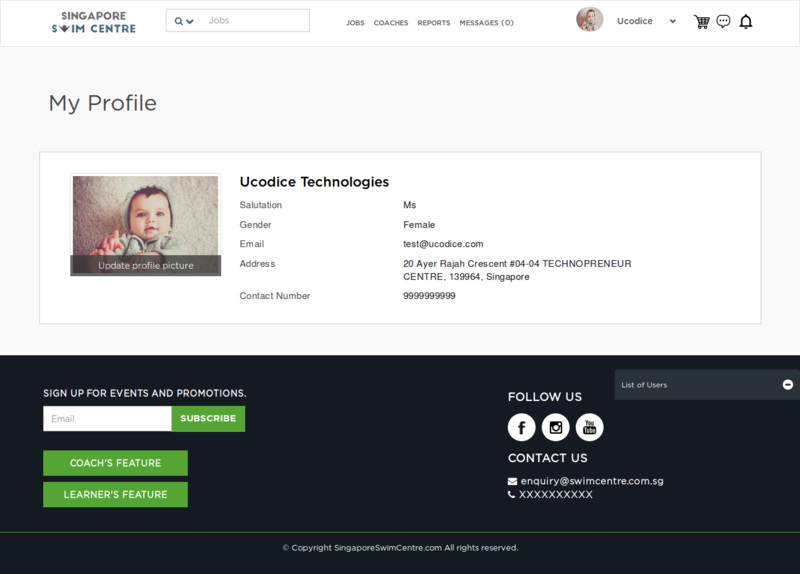 Learners and coaches develop profiles on the site as they offer, win and complete work and receive reviews of people they work with. The site's members receive an infinite number of bids to use on the site. When learner posts their requirement they need to wait for at least 24hours for approval.When admin approves the project then the project listed in open job section and learner receive an email and a notification on the dashboard.Learner and coach can do the live chat.There are two types of the job first one is an open job, it means any coach can bid on the project and the second one is the close job, in which a learner request/book coach privately.When learner sends the request to coach then coach accept or reject the request and if coach accepts the request then learner got a paid link, to do payment for booking coach.All the payment is done through PayPal.There are many features that are inbuilt in this application i.e live chat, offline message, notification etc.A user can apply coupon while doing payment.The learner can view all the coach in a listed format under coach directory.On top of the list, only featured coach are listed.Featured coaches are those coaches who had paid some amount to come on top of the directory. 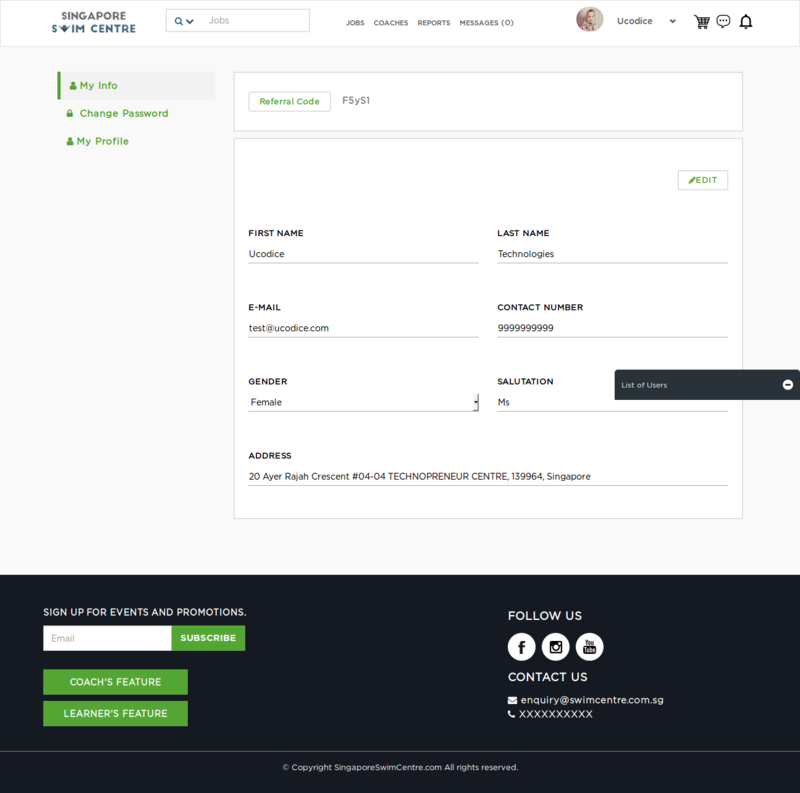 Users can purchase products from the site that can be managed by admin.In admin panel, admin can manage users, featured coach, transactions, coupon code, booking request, email templates, all the pages of websites, support ticket, referral amount. 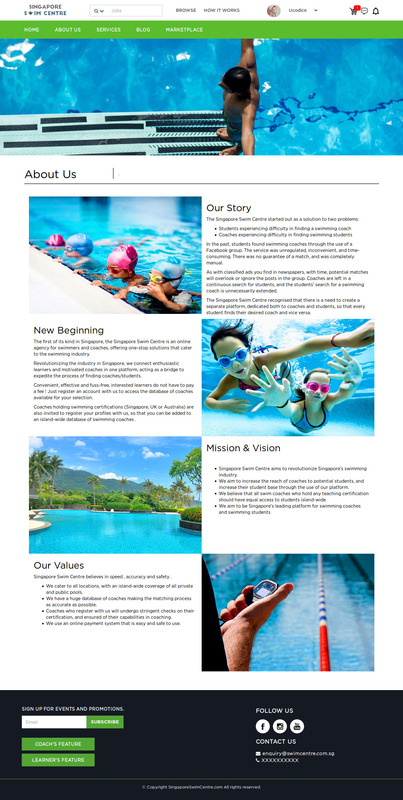 Home page of the website. 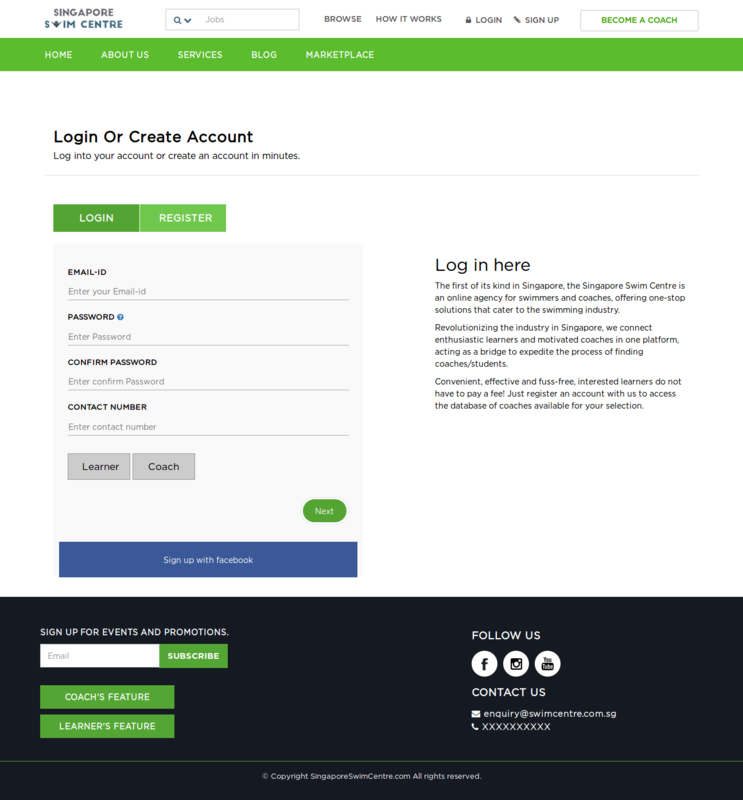 A user can register himself/herself as a coach or learner by filling the form or can directly signup with facebook. 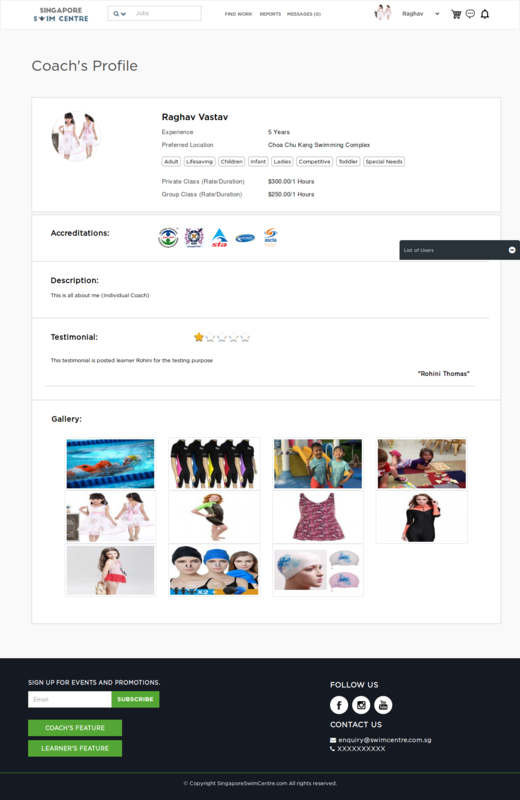 A user or guest can see the company profile here and all the information is managing through admin panel. 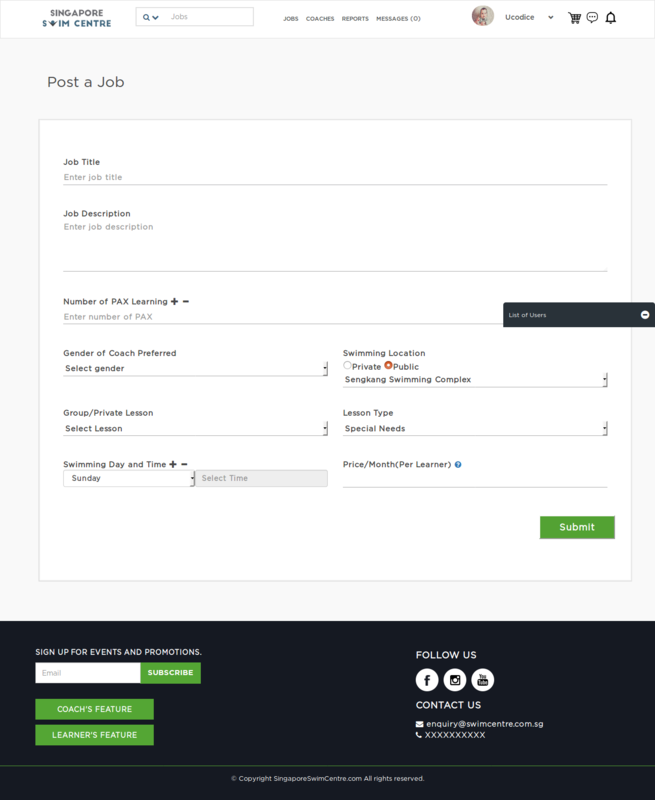 A user can view the job listing here, a learner can see the job posted by himself and coach can see all the open jobs. Learner can view the profile here and can change their profile picture. 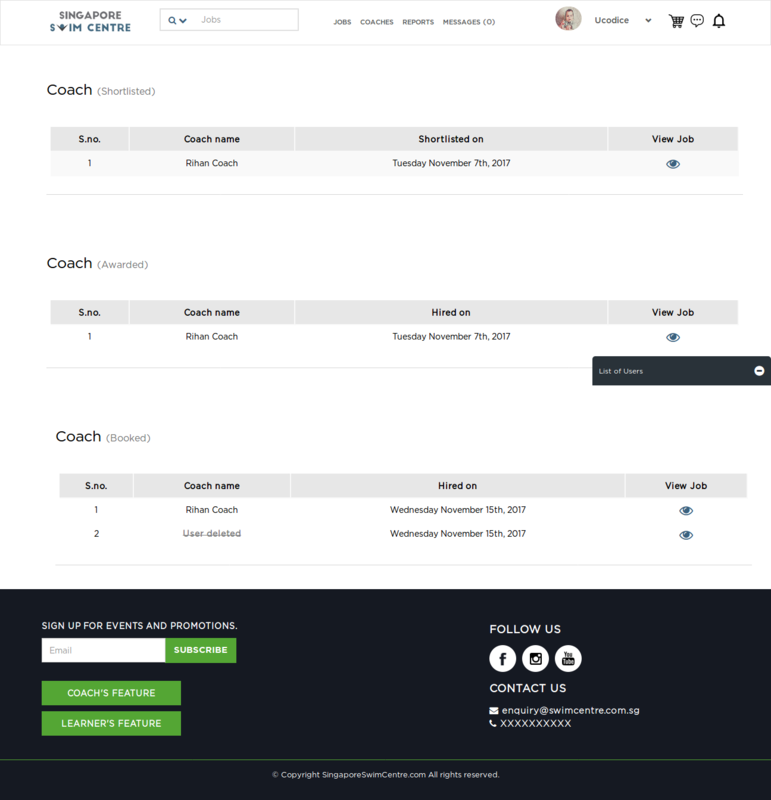 A coach can view their profile. A user can update the profile under settings menu. 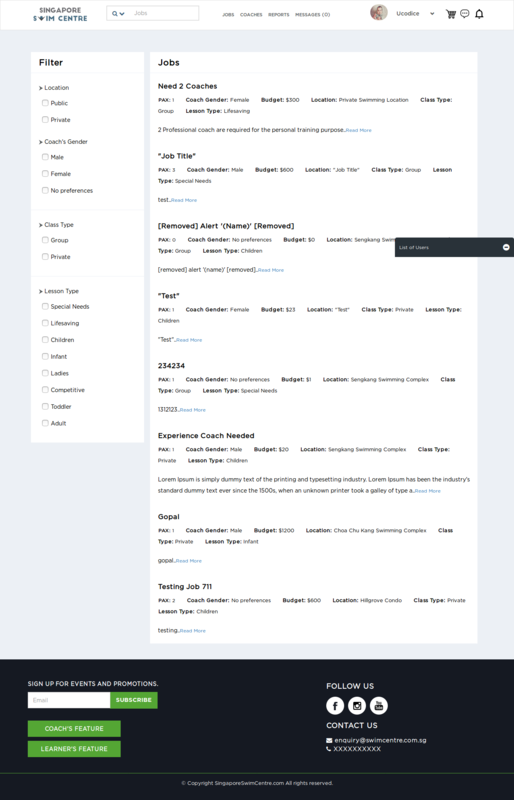 A learner can view the coach's directory under coaches menu. 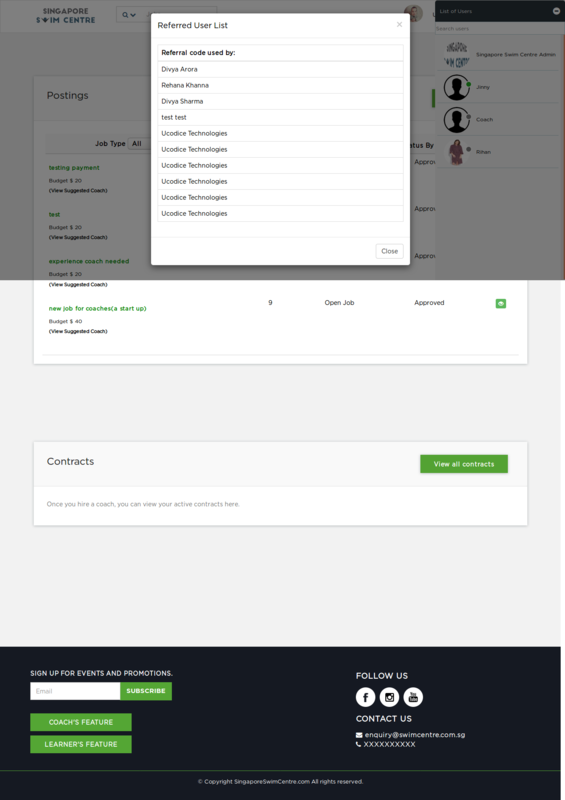 A registered user can view the list of the user who has used their referral code while signup. Is this section a learner can view the list of selected shortlisted, awarded and booked(personally) coach. 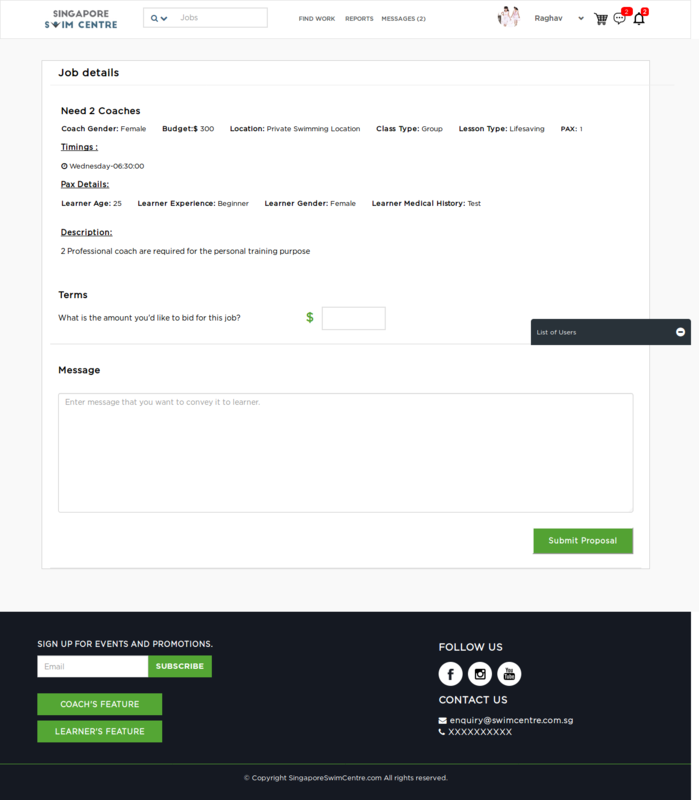 A learner can post the requirement by filling this form. 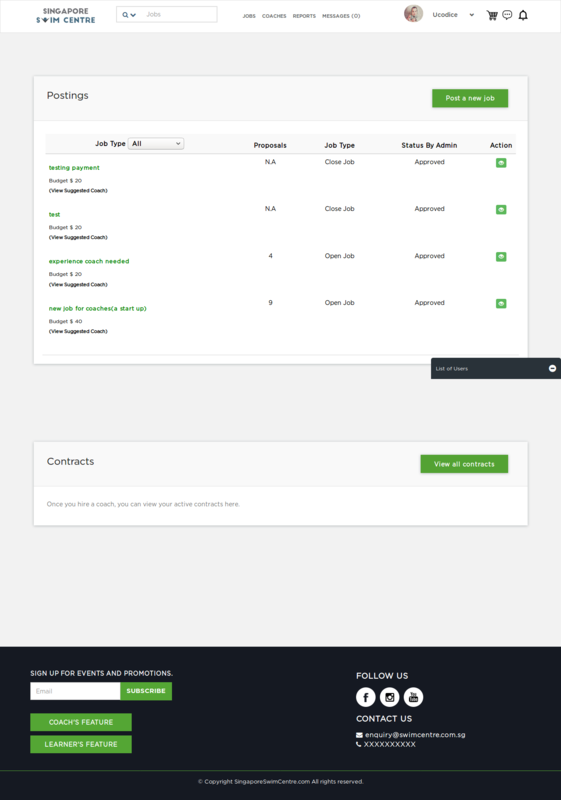 A registered user can view the all the open jobs and a coach can bid on the open jobs. A coach can bid on the job by filling this form. A coach can view the jobs on which he has bid. 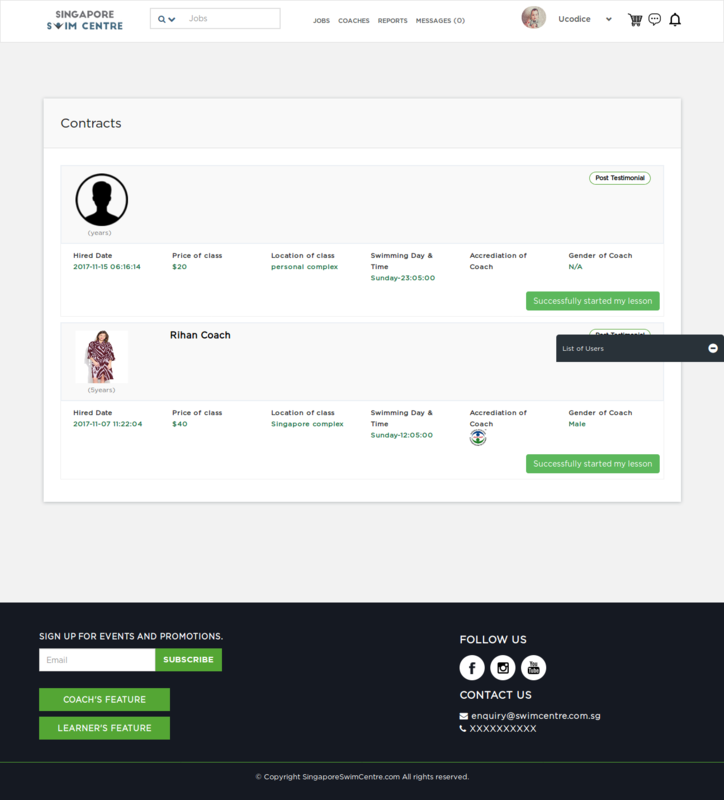 A learner can view the contracts hired by him. 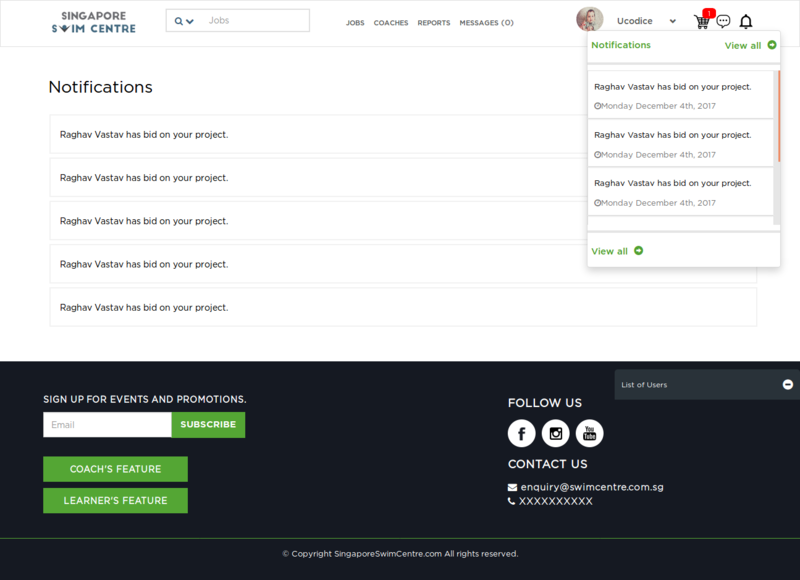 A registered user can view the notifications on the separate page and can view 5 latest notification under a side pop up. 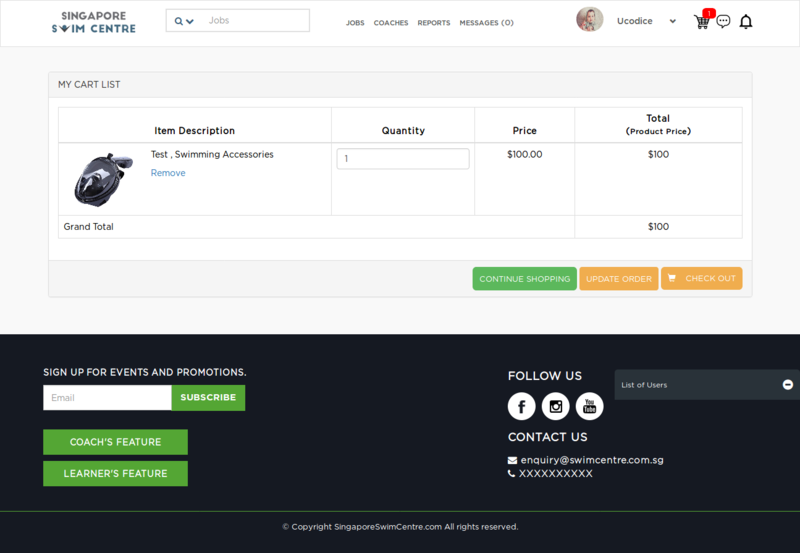 A user can purchase the product and can do payment using paypal. 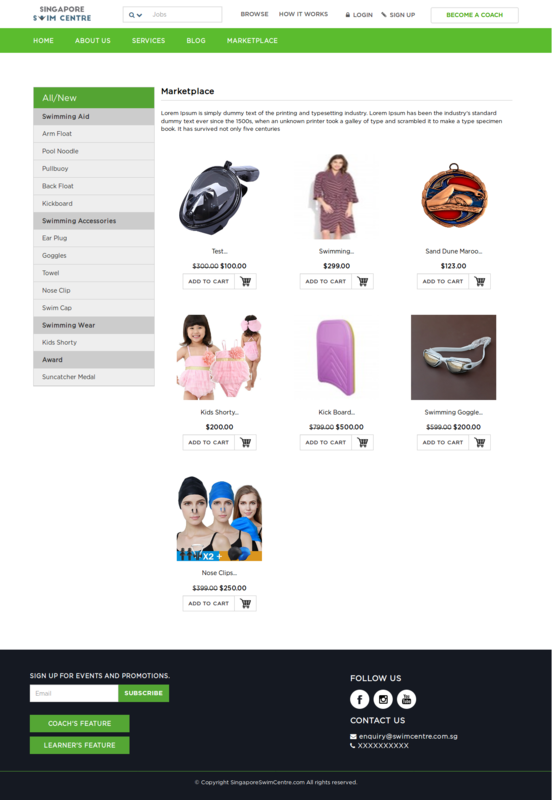 A registered user can view the selected items in cart. The learner and coach can send message to another user. 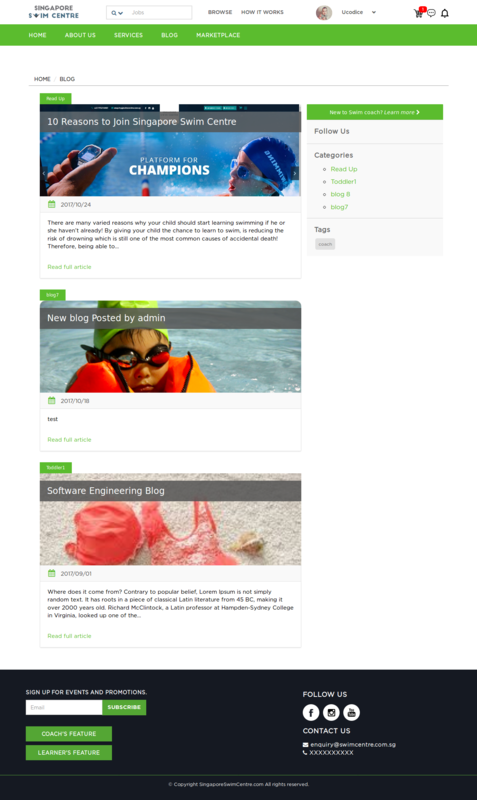 Blog is available to all types of user and handling through admin panel.